Once users have installed the chrome extension, they're taken to this landing page. 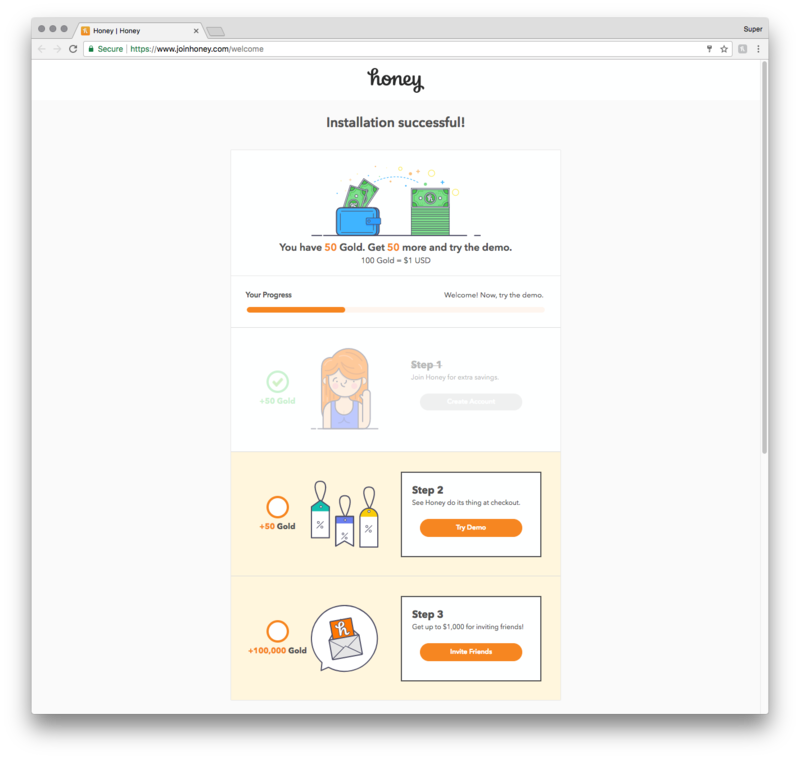 This leads to a CTA that encourages users to try a demo of Honey. Instead of waiting around for new users to purchase something on their own, this demo simulates Honey in action. Here, we see what honey looks like on a web page. New users are taken to a real J. 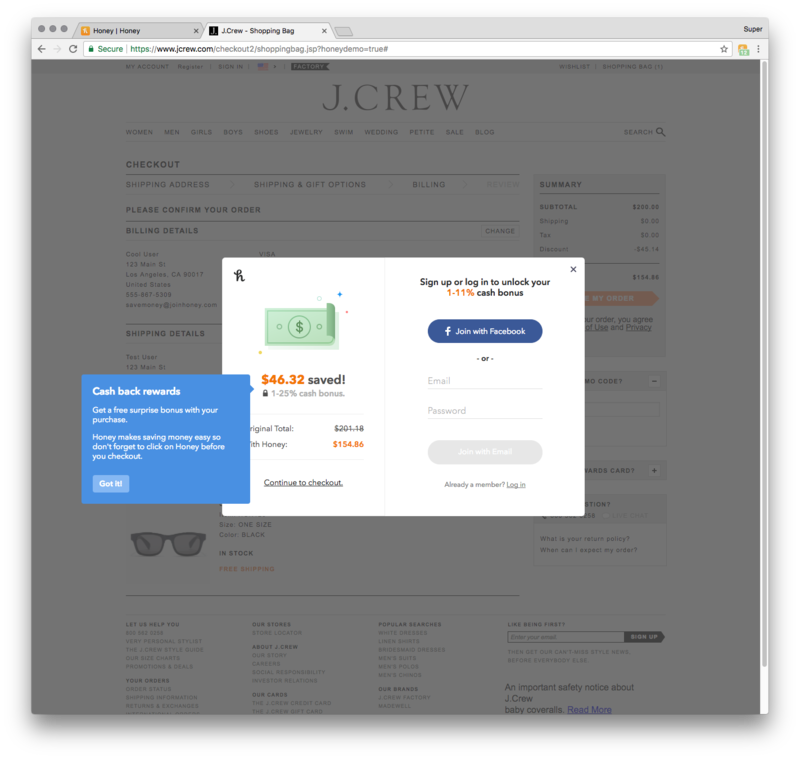 Crew checkout page, where they can immediately see how much they'd save using Honey — in this case. $46.32. 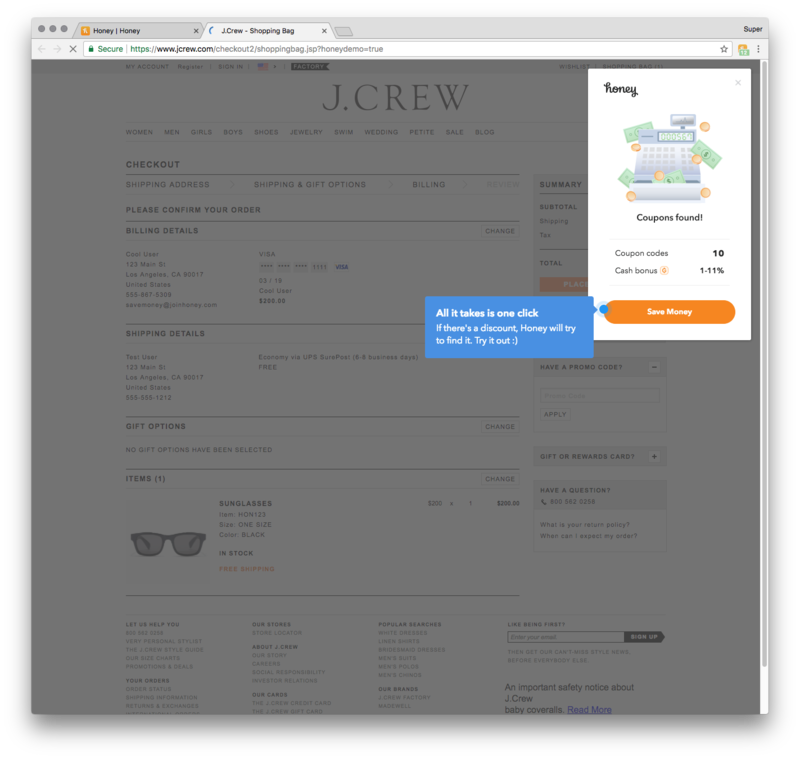 We like this product tutorial because it engages new users in a real-life scenario and builds a positive loop of activation.